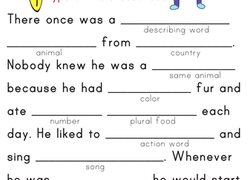 Kids rewrite incorrect sentences to gain practice with sentence structure, capitalization, and punctuation on this first grade reading and writing worksheet. 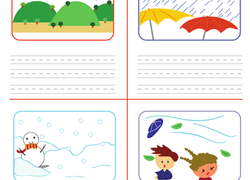 Help your first grader learn special plurals like men and geese by having her practice writing their plural forms. Let's practice identifying the blends at the end! Kids will sound out each word and identify the ending blend. 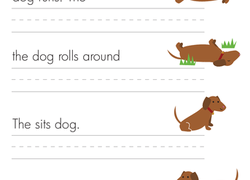 Help your child learn the "Wh words," who, what, where, why and when, with this charming story about a day at the dog park. 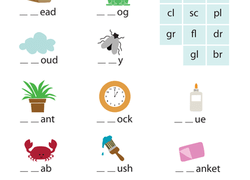 Looking for a worksheet to help your child with homophones? This printable focuses on the difference between the words to, too and two.